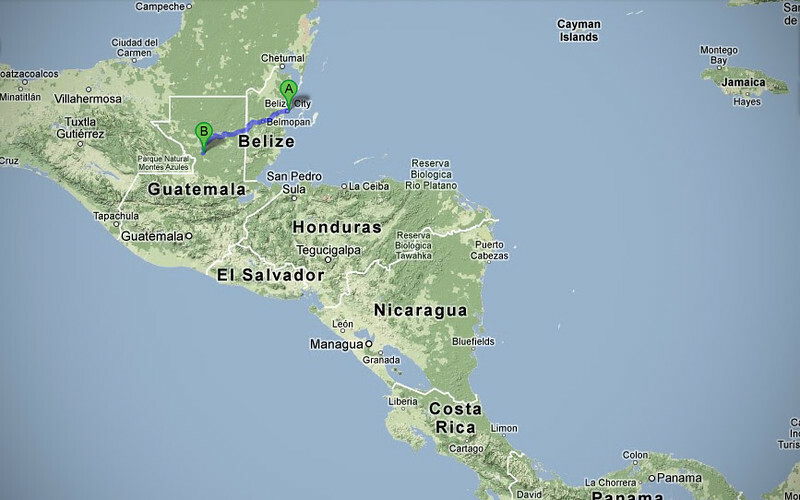 Feb 28 2013: Guatever you want! 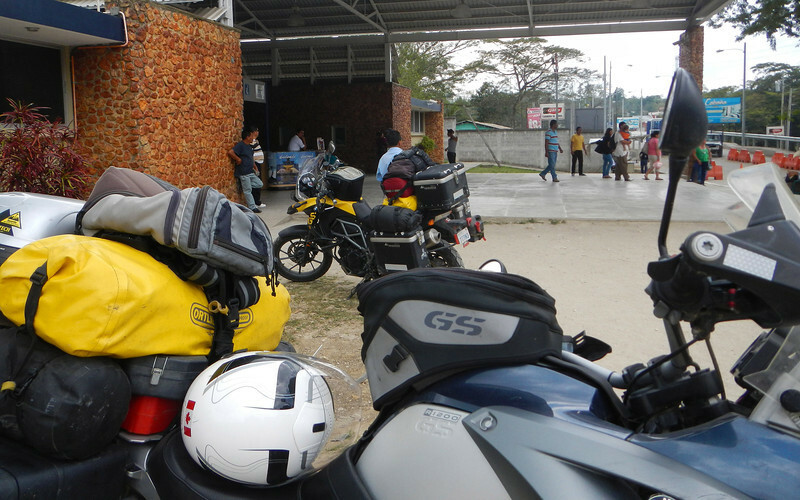 We would love to have stayed longer in San Pedro, but when we initially entered the country, we had only applied for a 1-week visa, thinking it was such a small country, how long would we need? The 4 day stopover in the islands was entirely unplanned and as we sat in our hammocks on the beach, we regretted only applying for 1 week. I think it worked out in the end, because we probably would have drained all our travel funds in this one place. 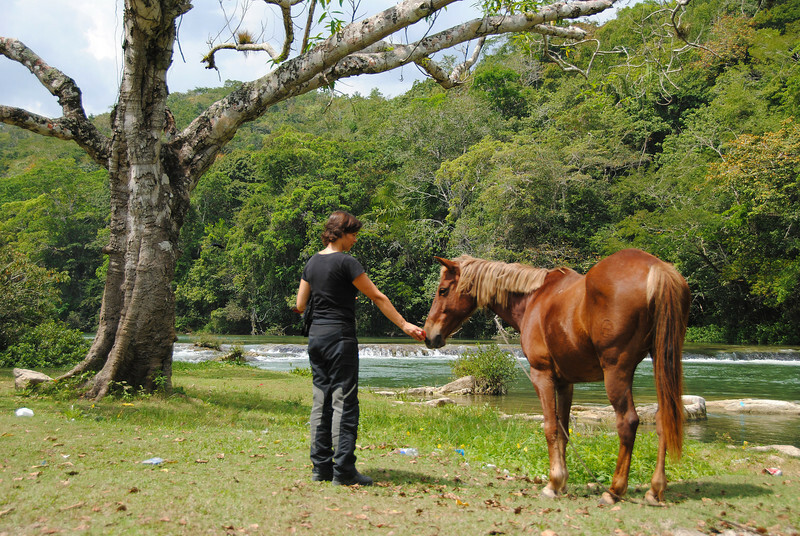 Neda is Belizeing a path through the lush scenery! 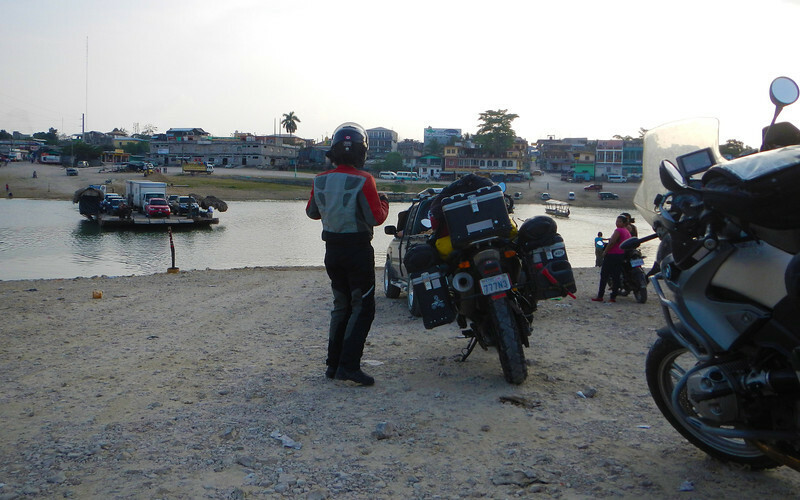 After getting off the water taxi back to Belize City, we rode a very short distance to San Ignacio, which is close to the Belize/Guatemala border. 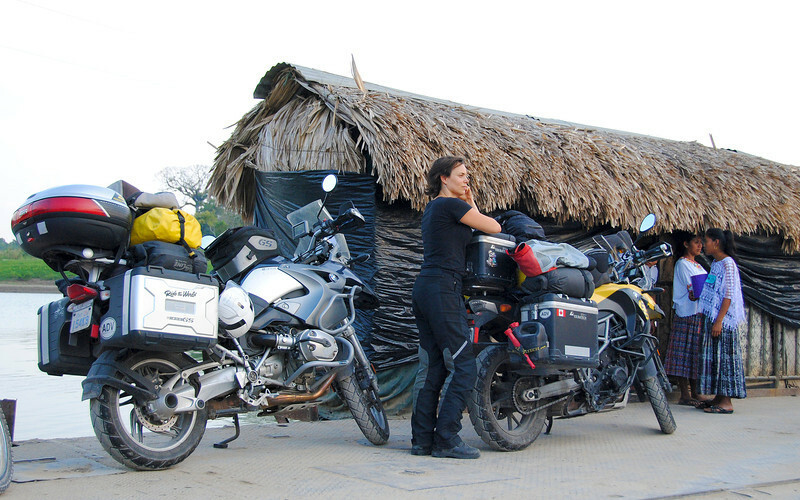 We're stopping here for the evening to get all our documents in order for the border crossing. 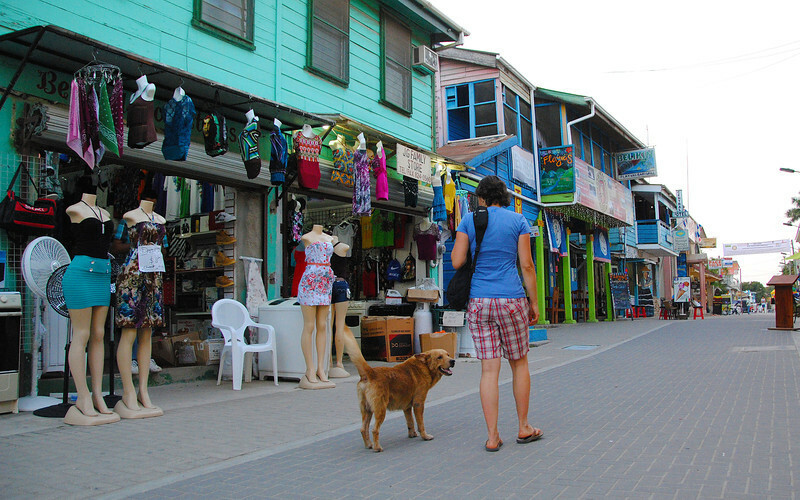 As we walked around the small tourist area (a single street) in San Ignacio, we noticed we were in the company of a lot of foreign tourists. We eavesdropped on a few of them and recognized that subtle Canadian accent that separated them from Americans - also the way Canadians always end their sentences on a higher pitch, as if constantly asking a question. 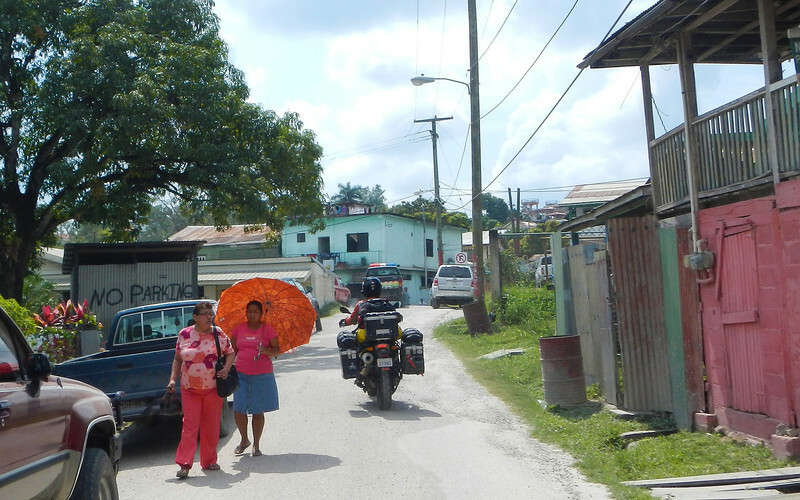 Belize is very popular with North Americans because the primary language here is English, even though more than half of the population speaks Spanish. 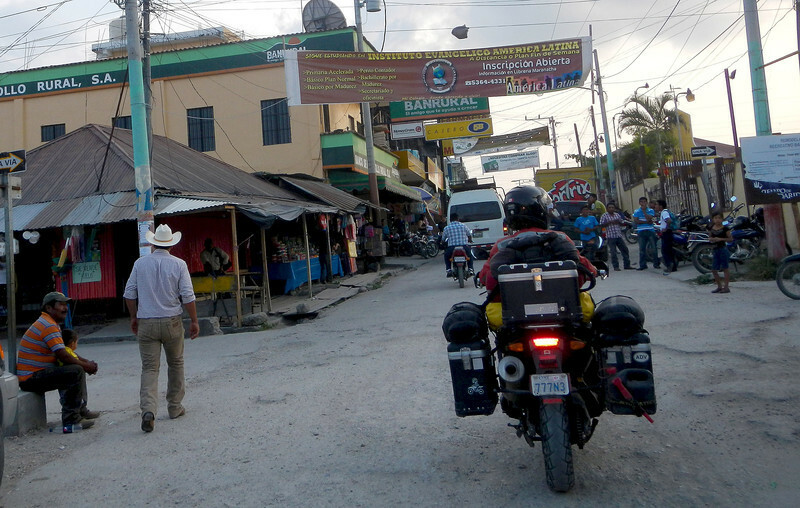 There's not much to see in the town of San Ignacio. It's more of a hub for the tours that fan out to see the Tikal ruins or cave tubing or other adventure sports in the area. 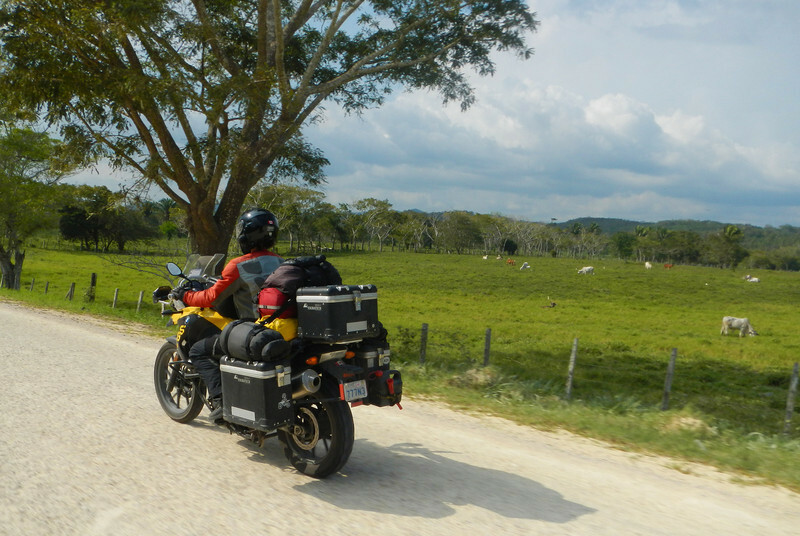 Since we blew our budget in San Pedro, we're going to skip Tikal and head straight for the Guatemala border the next morning. That, and our 7-day Belizean insurance expires on Feb-29-2013. There is no Feb-29th! So because of an insurance slip-up, we're leaving on the 28th, just to "insure" we don't run into any problems! 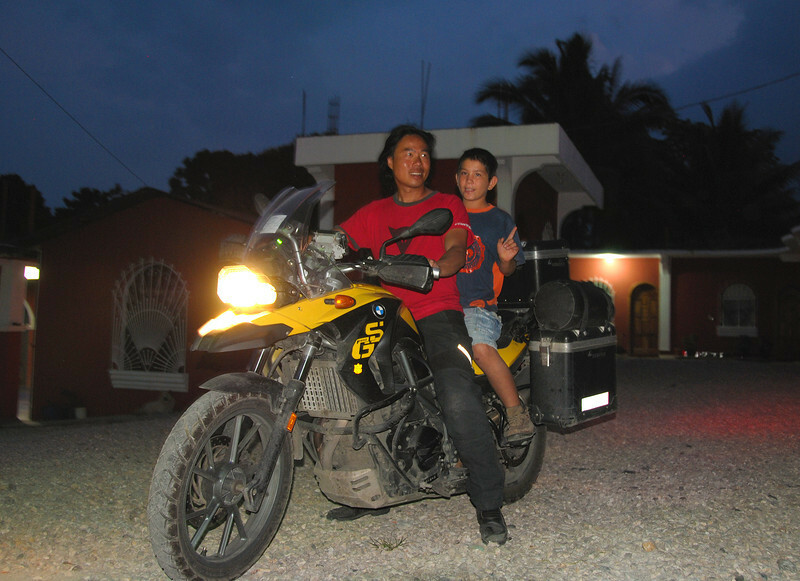 Bye-Bye San Igancio, we're going to Guatemala! 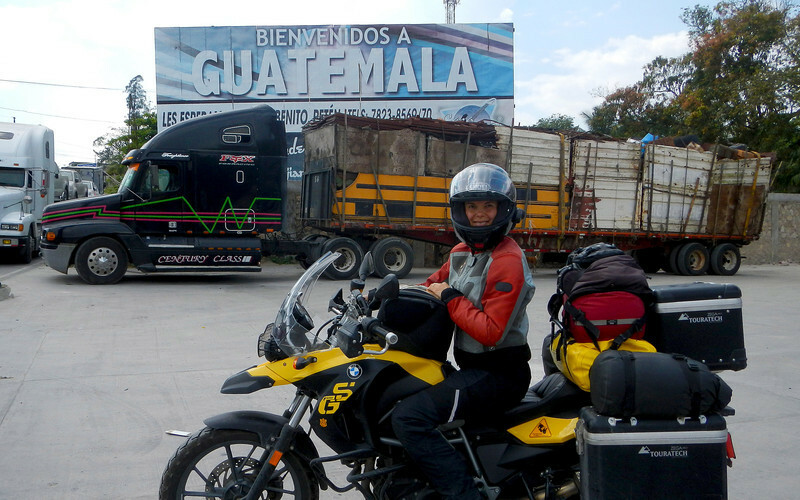 The Guatemala customs border was fairly easy, at least according to Neda as she did all the talking, since she was the Spanish-language expert. I noticed that the border official we were dealing with was originally very cool towards us, almost annoyed at us, until Neda started speaking fluent Espanol. Then instantly he warmed up to us. Actually he warmed up to Neda. He was still annoyed at my amateurish attempts to speak Spanish. So I just shut up and tried to stay out of the way as Neda got us out of Belize and into Guatemala in a heartbeat, telling jokes and charming all the border people in Spanish. I think this is the primary reason why people report so much difficulty crossing Central American borders - not being able to communicate in the official language. Ta-DA! We don't need no steenkin helpers, we have a Neda! 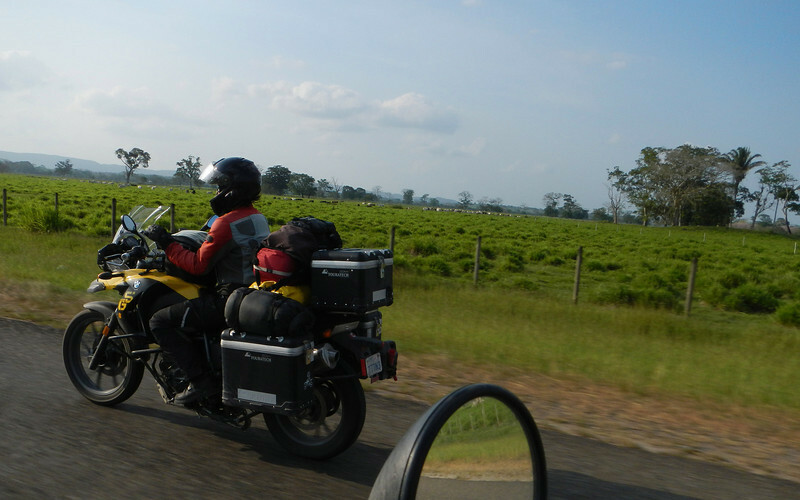 We're kind of heading south-west, back towards the Mexican border, trying to get as much distance done today. 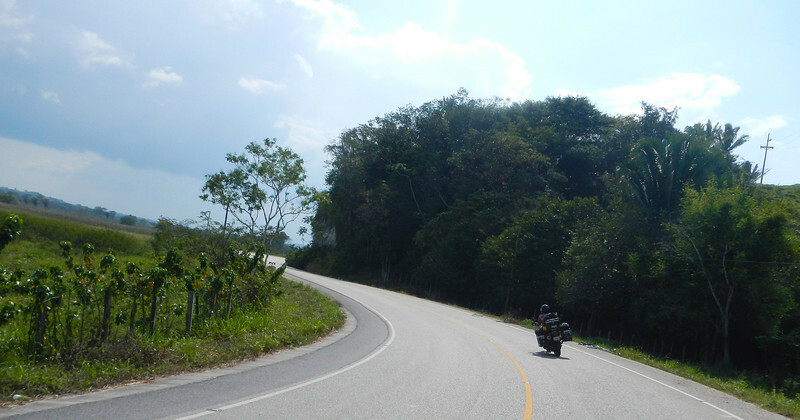 The roads are in way better shape than Belize, and it surprised us a bit. Quite a lot of twists and turns along the way which made us happy as well. There's a bit of a discrepancy between our two GPS maps. Neda's map routes us quite a distance to the south, while mind shaves off 150kms and seems like it's a more direct route. Turns out Neda's map didn't know there was a ferry to take us across at Sayaxche, while mine did. I'm glad we've got two different maps to consult. The ferry was powered by a small outboard motor off towards the side! We were running low on Quetzals, since we didn't buy too many from the money changers running around at the border, fearing that they'd rip us off with exorbitant exchange rates. Unfortunately, my bank card doesn't seem to work in Guatemala, something that Kari (fellow Canuck we met in Oaxaca) had warned me about over e-mail. So Neda is officially our money person for this country. It was getting pretty late so we decide to stop in Sayaxche for the evening. We found a casita just outside of town to stay for the night. 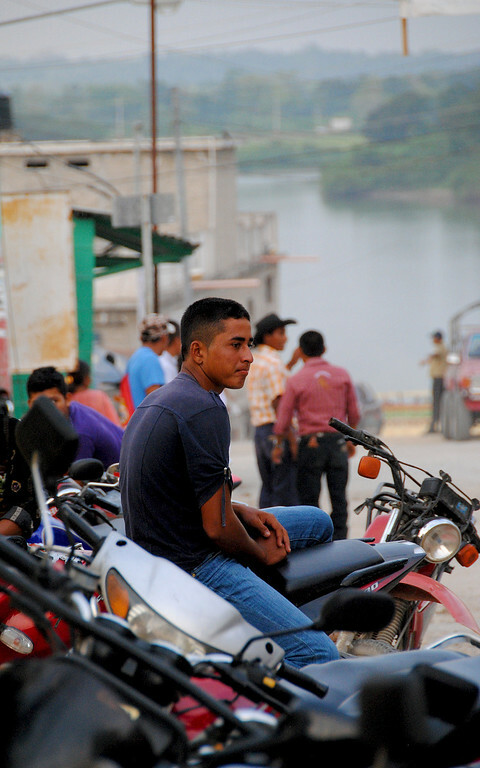 The owner had twin 10-year-old boys who clamoured around the motorcycles and peppered me with a million and one questions in Spanish. Since Neda was already busy talking to someone else, I had to fend for myself. Guatemalan Spanish sounds a lot different than the Mexican Spanish I had learned in La Paz, so I had no idea what these two boys were asking me, which frustrated both of them! They brought out their English textbooks but because they only studied family members, were only able to ask if I had a grandmother, a sister, a nephew... Finally Neda finished up and was able to translate for them: they wanted a ride around the block on the back of the bike! So I made them a deal: they could each take turns sitting in the back if they guided me into town and then helped me with my Espanol so I could buy groceries for dinner. To further thank them, I also bought them some chocolate, so I think I've made some friends for life.. When their mother called them out to finish their homework, they were very disappointed!